I like shooting HDR. You can pull so much more color and shadows out of a scene. A lot of my photos I shoot HDR but I try to avoid that 'HDR Look' since that's not really my thing. I do encourage people to shoot HDR though so they can get deep and rich colors out of the scene. 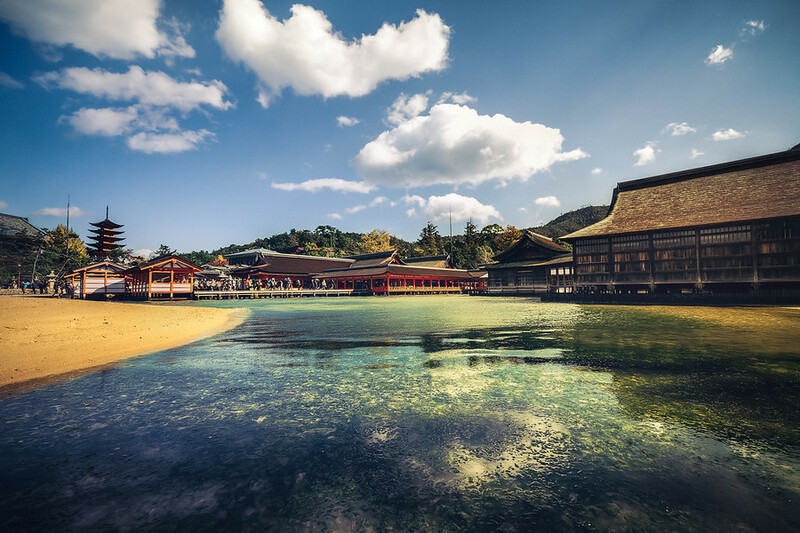 This HDR photo is from Miyajima Japan. I've taken several photos at this location on two different trips to Japan. And this place is awesome. The weather this time around wasn't that great though. While taking this shot it was very windy and pretty cold. I had to make sure my stuff didn't blow into the water. Or the wind didn't actually push me over into the water. It was that windy.